Besides the APC leadership, the plot is also said to have unsettled members of the APC caucus in the Senate as well as incoming senators. However, the various organs of the party are said to have been activated to counter the Saraki group. 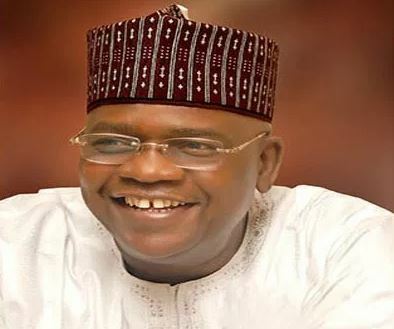 An APC Senator-elect from the South-West, who confirmed the plot, said: “Yes, they want to use Goje to repeat the APC/PDP experience of 2015.” Also being mobilized are state governors and leading party stalwarts to ensure that the leaderships of both chambers comprise identified loyalists. He is said to be working on the 2015 template through which he emerged as Senate President with the candidate of the opposition PDP caucus, Ike Ekweremadu, as Senate Deputy President. Saraki and Hon. Yakubu Dogara had then emerged as Senate President and Speaker, House of Representatives, respectively, against the choice of their party (APC) through an alleged power deal they struck with the leadership of the PDP. The Saraki group, it was gathered, met last week at his Maitama residence, where 35 PDP Senator select resolved to influence the emergence of a new Senate leadership.